Direct mail programs utilizing postcards are a cost efficient way to communicate on a regular basis – but that doesn’t mean they have to be boring. In fact, your direct mail post cards need to be exciting and engaging to break through mail box clutter. 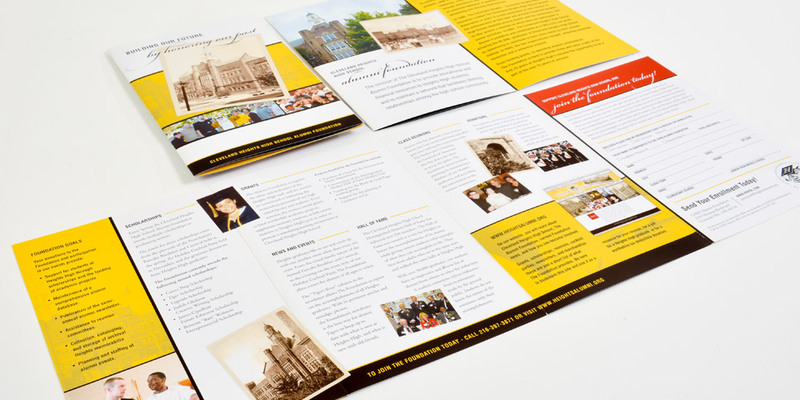 The Cleveland Heights High School Alumni Foundation turned to Boom Creative for a postcard that got results. Simple, smart and stylish can get results. Boom Creative can help execute all of your direct marketing and direct response programs. We know that at the end of the day, you need results. We can build programs that fit within the budget and deliver results.